The components you choose for your PCB design can affect much more than just the Parts Procurement stage of the project. At Bittele Electronics, we tailor our PCB Assembly Process to suit your particular needs, which means that your component selection determines the overall course of production for your Complete PCB Assembly project. This article is intended to give our clients insight into the different processes that apply specifically to SMT (Surface Mount Technology) Assembly, Through-Hole Assembly, and Mixed Technology PCB Assembly projects. Surface mount components have become increasingly prevalent for PCB Assembly in recent years. In addition to their benefits in miniaturization for HDI PCBs, surface mount parts are also extremely convenient and efficient in terms of the PCB Design and PCB Assembly processes. For ease of production, we highly recommend utilizing surface mount components as must as possible on any new PCB designs. The first step in PCB Assembly for surface mount components is Solder Paste Screening. For SMT PCB projects, Bittele’s production team will create a stencil from the negative image of the solder mask file during the PCB Fabrication process. Once the bare PCBs are finished, this stencil is placed over top of the boards, and held in place by a mechanical fixture while an applicator moves over the surface of the PCB to distribute solder paste over any uncovered spaces. Once the solder paste is thoroughly applied, the bare PCBs are moved to Bittele’s automated Pick & Place machines for the actual mounting of components onto their associated pads. For this process, we employ 100% Machine Automated PCB Assembly for maximum accuracy and efficiency, using the project’s Centroid file for component coordinates and rotation data. With the parts mounted securely in place, and solder paste beneath their leads, it is time for the PCBs to enter the Reflow Soldering phase. This is the most common method for PCB Assembly since it places considerably less restriction on the PCB Design than either Wave or Manual soldering, in terms of Component Spacing and orientation. The only limitation of Reflow Soldering, compared to its alternatives, is its higher temperature requirements, but nearly all modern components are designed to withstand the heat. Bittele’s reflow soldering process includes a gradual soak cycle between the pre-heat and reflow phases to ensure an even distribution of solder with minimal risk of Solder Ball and Bridging Defects. After a reflow cycle, any boards including BGA, QFN, or other Lead-Less Package Types are sent for X-Ray Inspection; this service is included by default on all Bittele quotations that include such parts. Using this sophisticated inspection technology, we are able to identify any defect in your complex package types, and perform an engineering analysis to determine the root cause of a given issue. Purely Through-Hole Assembly is rare in the current PCB Assembly industry, but some of our clients still produce legacy boards that incorporate these parts, and so we are still fully equipped to handle High Quality PCB Assembly for through-hole PCBs. For boards with a very large number of through hole parts, we will normally use Machine Automated PCB Assembly, as mentioned for SMT Assembly. Once the parts are installed, the boards are moved into the Wave Soldering process. This method of assembly involves sending the PCBs on a conveyor through a “wave” of molten solder. The solder bonds together exposed pads and component leads, while wicking off of the bodies of components and the Solder Mask that covers the bulk of your PCB. Wave soldering has fallen somewhat out of favour in the PCB Assembly industry in recent years, at least in comparison to its past prevalence. Compared to Reflow Soldering, Wave Soldering is generally more restrictive in terms of the PCB Design. 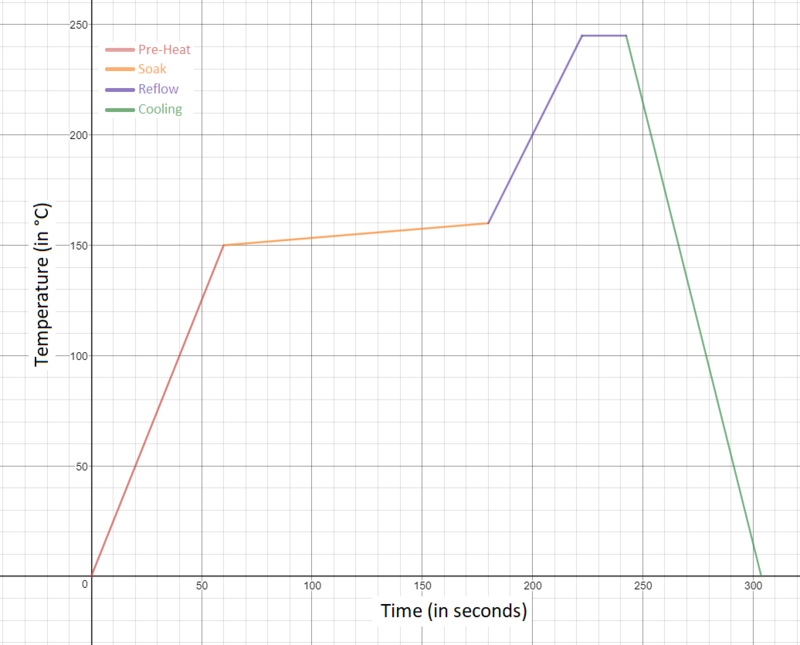 Though the heat profile of the reflow soldering process is more forgiving, designers have to worry about issues such as proper orientation and Shadowing. This method is also more prone to defects such as Solder Balls and Bridging, and in some cases specialized thieving pads are required to ensure a correct distribution of solder. Bittele’s process engineering and Customer Service teams perform a thorough analysis of the PCB design before any wave soldering job, and will bring up any potential complications with a client in advance, but this does require additional time and cost compared to a reflow soldering project. Most commonly, PCBs will incorporate some mix of surface mount and through-hole components; we normally see boards with a majority of SMT parts, punctuated by a few connectors or high power components in through-hole packaging. For Mixed Technology PCB Assembly projects such as these, we select our process based on the specifics of your project. In most cases, we will take care of the SMT Assembly for the project first, following all of the steps outlined above for SMT PCB Assembly. The few through-hole parts that are present on the board can then be installed via Manual PCB Assembly. Our staff of highly skilled manual soldering specialists are able to provide consistent and reliable workmanship even up to IPC-A-610 Class 3 Standards. While Bittele’s manual soldering specialists are incredibly proficient, they are still subject to certain human limitations, that do not apply to automated assembly methods. 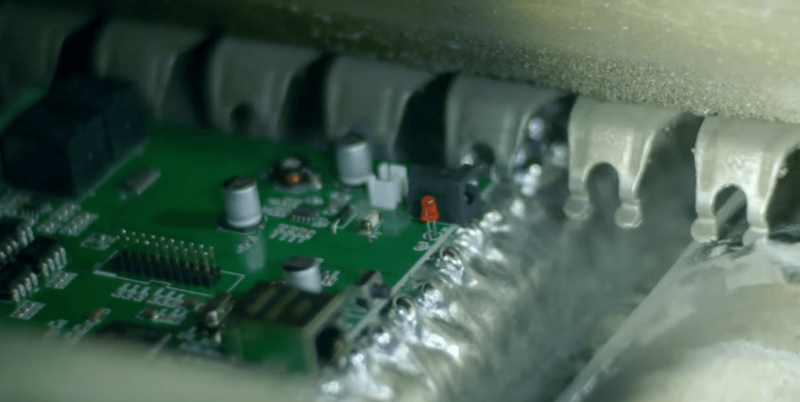 For certain parts, such as multi-row connectors with very high pin counts, or for Mid-Volume PCB Assembly orders, the most economical solution is sometimes to use Wave Soldering after the Reflow Soldering process. The requirement for both of these methods does often involve additional lead time and project cost, so it is important to understand the specific PCB features that might require a particularly onerous mixed technology PCB Assembly process. 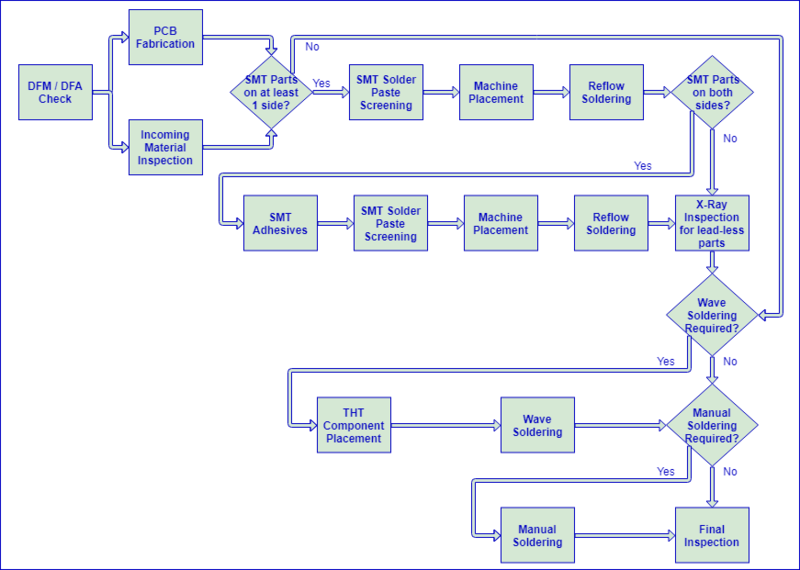 If you still find yourself with any questions about Bittele’s PCB Assembly processes for SMT or Through Hole components, please see our DFM Guidelines and DFA Guidelines documents. If you would prefer to post your questions to us directly, or to send in the PCB Design Files for your PCB project today, please feel free to Contact Us any time! You can reach us over email at sales@7pcb.com, or call us toll-free at 1-888-812-1949.